1.) ATTENTION: When someone gives a speech, the floor is theirs out of respect. They should be given undivided attention from all over the room with little or no activity going on around them. This ensures they will be heard and seen. They research, write, and rehearse their speech and giving them 100% attention will make the moment more memorable for all. 2.) INTERRUPTIONS: During dinner service, there are staff members pouring drinks, moving around plates, and walking around which can draw attention away from the person giving a toast. Also, if the staff is active at this time, it can also interrupt the moments the photographer (line-of-site) & videographers (picking up sound) are trying to capture. 3.) COLD FOOD: When food is served, people should eat. What happens when a person begins a toast? Most people stop eating out of respect and embarrassment (of being the only one eating). I’ve seen hundreds of dollars worth of Filet Mignon go cold for this reason. However, I think it’s totally acceptable if you want the toasts before dinner while a preset salad is already down on the table. 4.) FLOW: Having the toasts before dinner or after dinner can help with the flow a little easier. 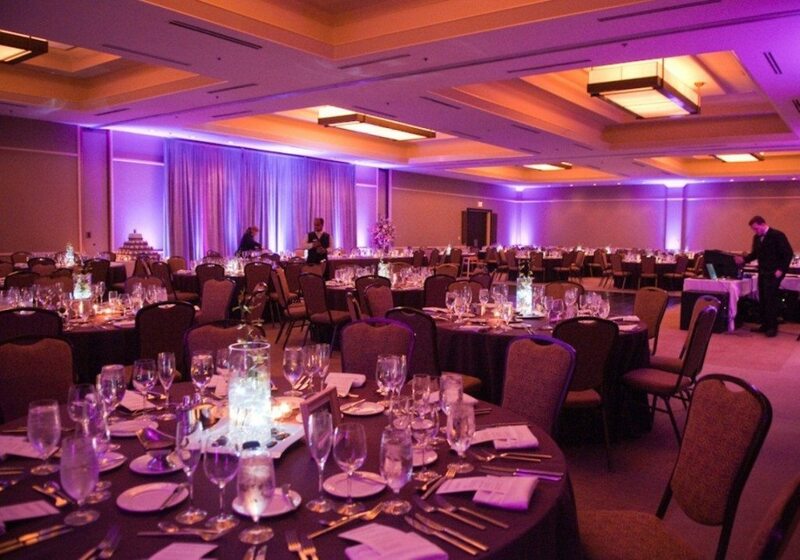 Interruptions during meal service can affect the chef’s timing, the itinerary schedule, and vendor preparations for the second half of the reception. 5.) VENDOR BREAKS: Dinner can sometimes be the only time vendors can take a break and have their meal service, especially photographers & videographers (who have been with the bride & groom all day). With toasts during the meal, most likely vendors will not be able to take time away to eat or take a quick break as they will have to capture moments throughout the meal service. 6.) NERVOUS TOASTERS: If you have issues with people having stage fright, have the toast before the meal (so they don’t lose their meal afterward). It allows them an earlier opportunity to get through it quickly so they can relax through dinner. If they are still nervous and you want the toasts at the end of dinner, pairing up the toasters together can sometimes soften the spotlight on the individual. 7.) KEEP THEM TOGETHER: If you’re planning on having many of your toasts split up throughout the meal, remember that people will be interrupted many times as well. Also, spacing out the toasts means possibly re-pouring more champagne and you could run the risk of running out. The wedding planner and DJ will also have to keep pulling people back to their tables between each toast. During meal service, people tend to use the restrooms, visit the bar, have a smoke outside, and visit other tables. Keeping your toasts back to back will keep peoples attention and keep them in their seat for the duration of the toasts. HELPFUL TIP: If you have more than 4 to 5 people giving a toast, consider doing some of them at the rehearsal dinner to save time at the reception. At the wedding, try to give the spotlight more to the parents and wedding party and maybe move miscellaneous guests toasts to the rehearsal. Example: At the wedding – best man, maid /matron of honor, fathers. At the rehearsal – close friends, co-workers, schoolmates, etc.. I hope these tips are helpful and if you have any questions, please call or email Jake Ritchie directly!